An ounce a day, keeps you smiling away! Buy 2 Get 1 Free! Limited time only. While supplies last. 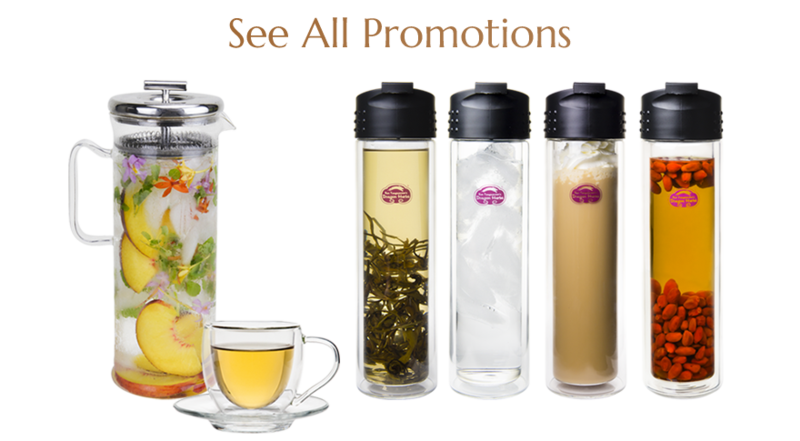 Heaven Mountain has the precise eco-qualities for producing the best Goji on earth. Eco-quality – Water: Every drop of water in the growing fields is derived from the melted snow and glacial runoff. Eco-quality – Soil: The high content of alkaline minerals in the soil turns Heaven Mountain Goji into alkaline food. Eco-quality – Climate: The precipitous daily temperature fluctuation produces one of the most adaptable plants on earth. Eco-quality – Sunshine: Heaven Mountain area averages 3000 hours of sunshine per year, allowing unusually productive photosynthesis in the Goji plants. We buy directly from Goji farmers. 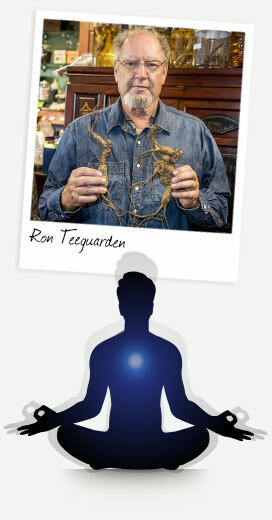 Ron Teeguarden, Master Herbalist, has been a purveyor of Goji berries since 1971. 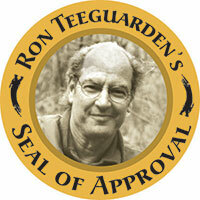 Ron works with the Goji farmers directly to ensure only the best Goji on earth is brought to our customers. Our Goji trees are planted in northwestern China as part of a government supported program to reverse desertification. Our goji berries are the juciest among the rest in the market. Up close and personal: Our Goji berries are the best and juiciest companion to your green salad. Our Dragon Herbs family enjoying the Goji picking season. Our Goji berries are handpicked with care. Ron's father in law inspecting Goji Berries after harvest. Dragon Herbs worker sorting Lycium also known as Goji berries. The road to the Goji fields with the spring water flowing from the Heaven Mountain . The Goji Berry (Lycium barbarum) is unquestionably one of the supreme superfoods in the world. You only need to consume an ounce or two a day to get all the amazing benefits that people have been experiencing from Goji for thousands of years. 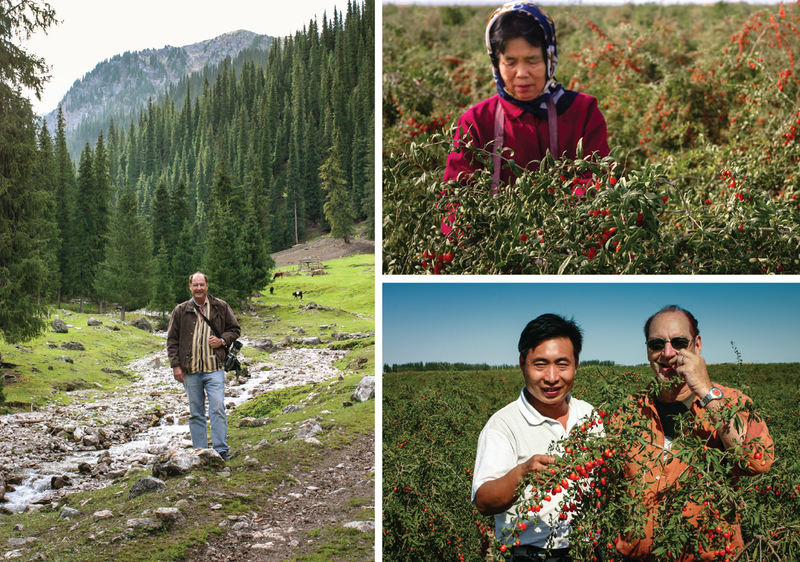 Heaven Mountain, a huge mountain in Central Asia, is the source of the best Goji in the world. These Goji are grown without the use of any chemicals, or even man-made irrigation. The Goji flourish on the glacial melt from the great mountain peaks. They are totally natural. They are not preserved or colored and never irradiated. 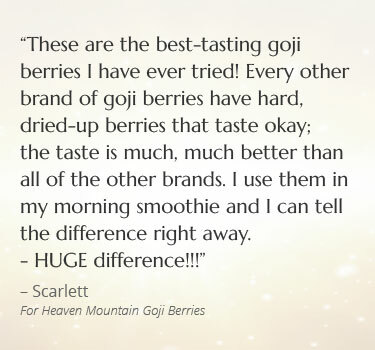 Best of all, Heaven Mountain™ Goji Berries are far and away the best Goji to eat on the market today. They are naturally sweet and delicious, have fewer seeds compared to common Goji (other brands), and they are packed fresh in Asia, so they are much juicier than the Goji generally found in the American market. They may be enjoyed any time by the whole family. 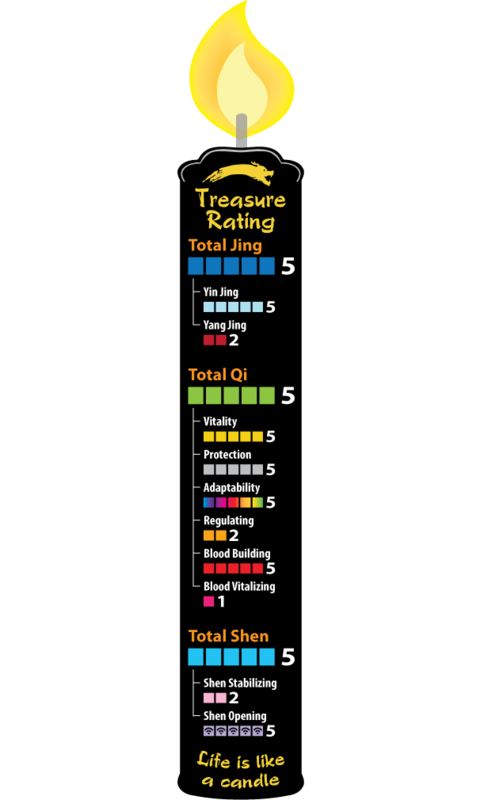 Builds blood, tonifies Jing and Qi, enhances Shen, benefits the eyes, benefits mood. Eat a handful or 2 a day as a snack or use with your DBG. 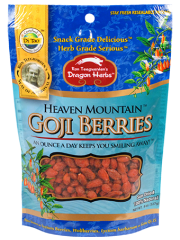 Heaven Mountain® Goji Berries are plump, juicy, naturally sweet, and absolutely delicious. 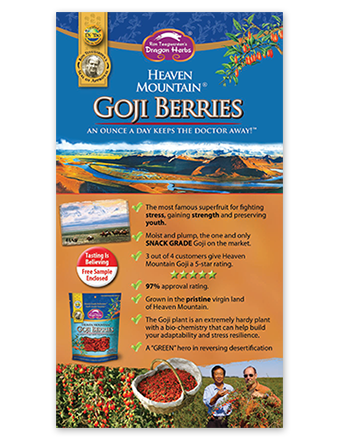 Unlike other Gojis on the market, Heaven Mountain® Goji Berries are sweeter, fleshier and have less seeds. They have a much higher moisture level which contributes to their texture as plump and juicy. 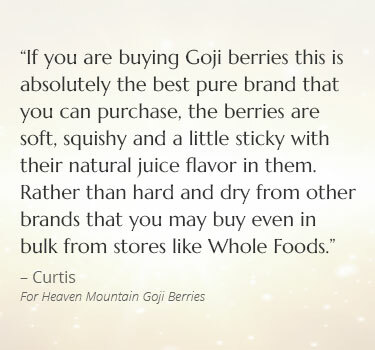 Most Gojis on the market are rock hard. This is not without a reason. All the Gojis sold in the US come from China, whether they are labeled as Himalayan, Tibetan, or Wild. That translates to a very long transit time from the growing regions to the hands of the consumers. Typically, the berries reach the consumers at least 4-6 months after they are harvested. 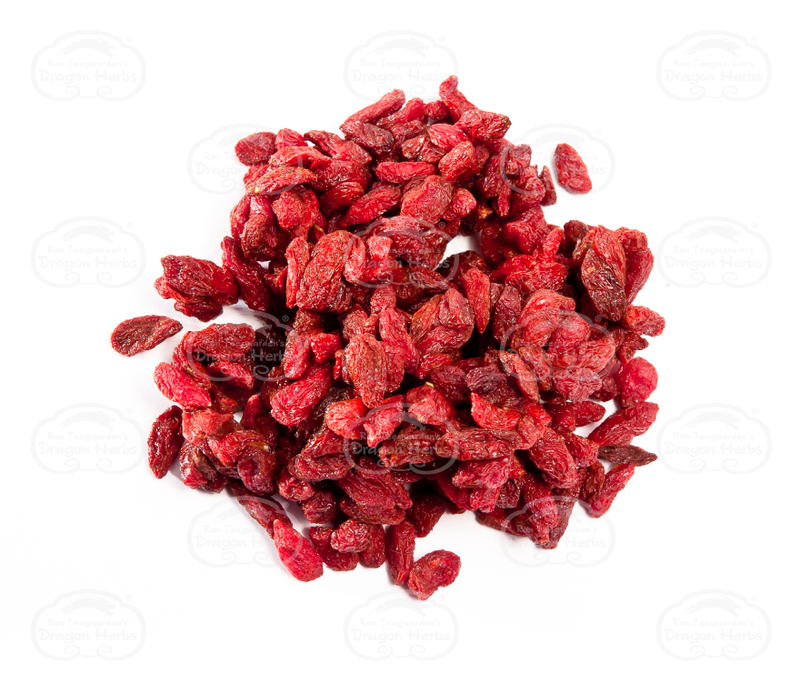 To stay shelf stable, most Goji farmers dry their Goji until the berries are very bone dry and very hard. 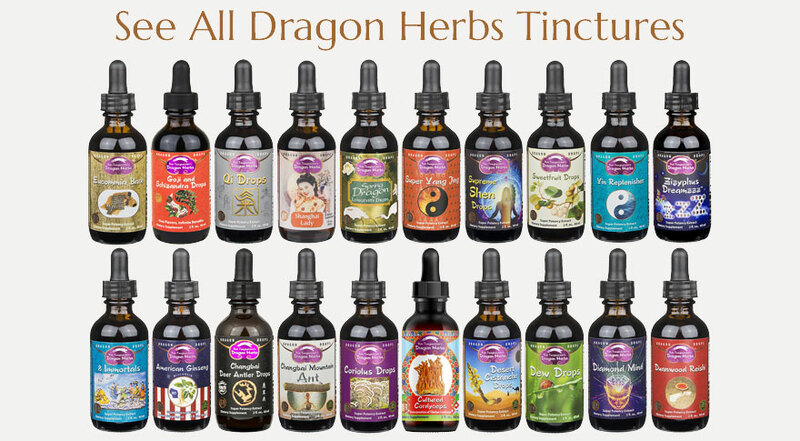 After years of research and development, Dragon Herbs has developed a special handling process and a custom designed packaging that allows the berries’ natural moisture level to be retained while satisfying the shelf stability required in commercial trade nowadays. In a test conducted by an independent lab, Heaven Mountain® Goji Berries are shown to be twice as juicy as a competitor’s. Left: Plump and juicy ripe Goji berries in one of the bushes at Heaven Mountain. Right: Our goji berries are the juiciest among the rest in the market. 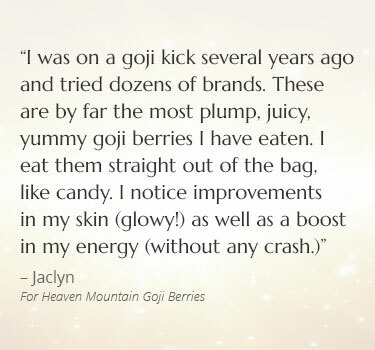 What makes Heaven Mountain® Goji Berries so special? Simply put, Heaven Mountain. Heaven Mountain is a remote mountain range in the northern region of Xin Jiang Province, China. In a more sophisticated way, the concept of Di Dao used in the world of herbalism can best describe the relationship between the geographical and geological features of the region and the phyto chemical profile of Heaven Mountain® Goji Berries. There’s a great concept in China known as Di Tao. The literal translation of Di Tao is “Earth Tao,” or “the Way of the Earth.” The Chinese dictionary definition of Di Tao is “from the place noted for the product ~ genuine, authentic, not from an inferior or counterfeit source.” According to the regulations of the Chinese Pharmacopeia, all herbal products manufactured and sold in China must utilize herbs that are Di Tao - that is, the herbs must come from a source that is considered legitimate and genuine. The virgin land of the Gobi Desert has little vegetation. It has a very high content of alkaline minerals. The pH level of the soil can be as high as 8.7 (50 times more alkaline than neutral) and the soil salt content can reach 1%. Few plants can survive in this kind of harsh environment. Goji, however, being an extremely adaptable plant, thrives here. Xin Jiang province has the longest daylight duration among all provinces in China (Tibet included). It averages 2550 to 3300 hours of sunshine per year. The intensive sun light allows for much more productive photosynthesis in the Goji plants, leading to more flesh, sweeter taste, and naturally, higher content of active ingredients such as Lycium Polysaccharides (LBP). Another unique weather characteristic of Xin Jiang is the precipitous temperature fluctuation between day and night, usually as much as 36 to 45 °F within a single day. The locals joke that in Xin Jiang, no traveling is necessary in order to experience the four seasons within one day. It is quite common that you start the day with a winter jacket, strip down to a silk shirt at noon, then at night, you can enjoy their famous watermelons, next to a bonfire, that is. 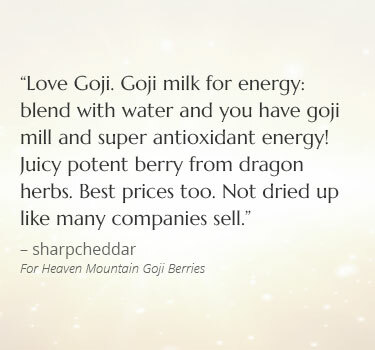 It is Heaven Mountain Goji’s superb adaptability that makes it a highly revered adaptogenic, stressfighting tonic herb. The Ministry of Agriculture of the People’s Republic of China has officially certified Heaven Mountain goji berries as Di Tao. All plants are the product of their growing environment and conditions. Different regions have their distinctive make-up of water, soil, sunshine, climate, and biological distribution. 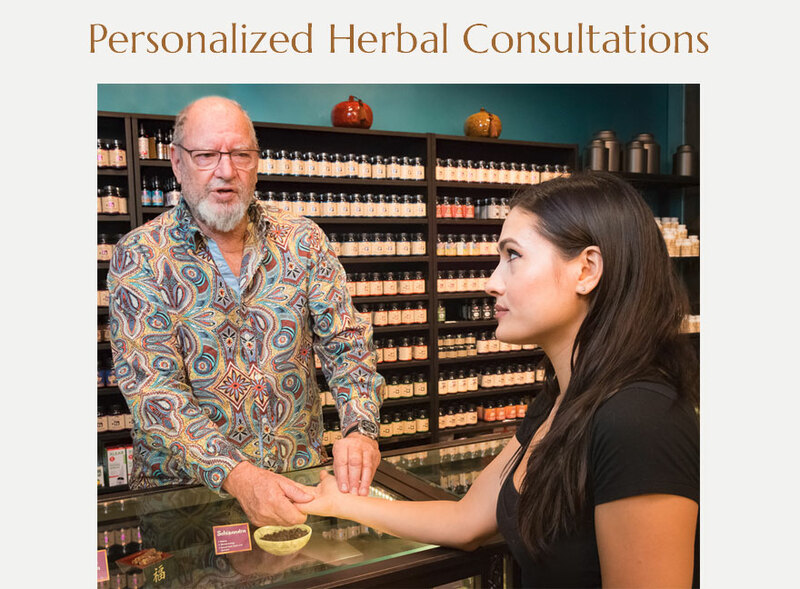 The varying methodologies adopted by different regions in their cultivation, collection, and final preparation of the herbs further differentiate the herbs from different sources. 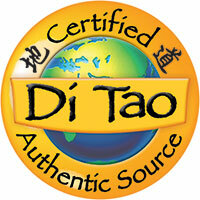 The Di Tao source of an herb is gradually established through the historical use of the herbs. 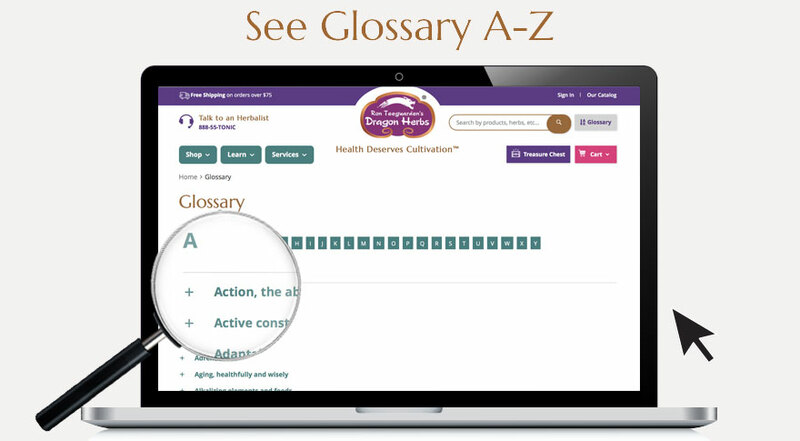 By documenting how herbs from different origins differ in their pharmacological effects on the human body, the regions or sources that produce the most desired results have slowly come to be recognized as the authentic genuine source, Di Tao, both by common knowledge among the practicing herbalists as well as by government supported official recognition in the materia medica. 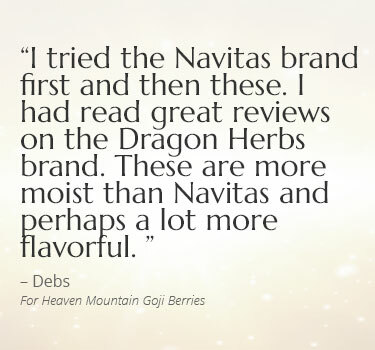 Heaven Mountain® Goji Berries is one such example. The water, the soil, the sunshine and the weather have the precise qualities necessary for producing the best, richest, tastiest, most potent Goji berries on Earth. As a result, they have an extraordinary and balanced phyto-nutrient profile. As part of the enormous Gobi Desert that covers southern Mongolia and northern China, Xin Jiang receives little to no rain each year. Every drop of water in the growing fields is derived from the melted snow and glacial runoff from the pristine Heaven Mountain. This water is pure and structured – it is nature’s ultimate irrigation system. I noticed some color variation of the berries. Some are darker than the others. Is that normal? Minor color variations for the Goji berries is normal due to batch variance. This product has to be stored in a cool and dry place. How to identify snack grade delicious Goji™? 1. Tasting is believing. The best way to know is by tasting. Buy a small pack and make sure you like what you eat. 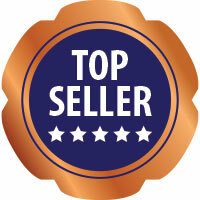 We are confident that you will like our Heaven Mountain® Goji because most people do. Once they taste our samples, they never eat other Gojis again. 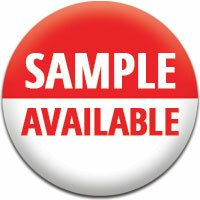 With Dragon Herbs, you are more than welcome to try our Goji-To-Go sample pack first. 2. The shake-it-before-you-buy-it test. If you don’t want to spend the money, then try this method as a quick test. It does not guarantee taste, but it does tell you if the berries are bone dry or juicy. Shake the bag. If it sounds like a maraca, they are probably very dry and will not be enjoyable. Plump juicy snack grade Goji berries should barely rattle. 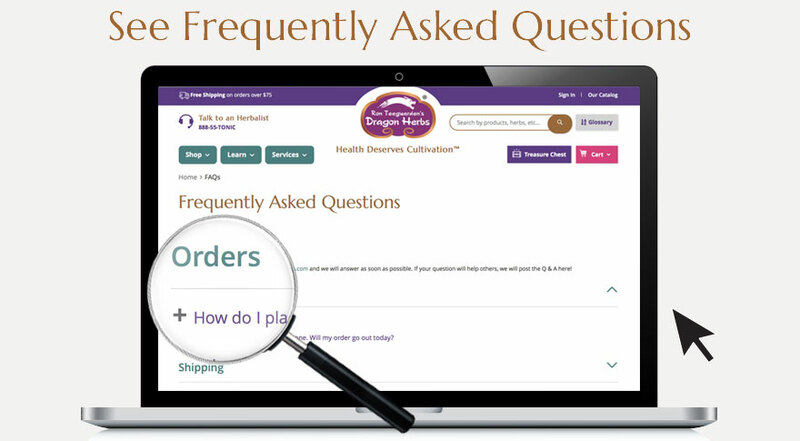 When it comes to benefiting from herbs, compliance matters the most. 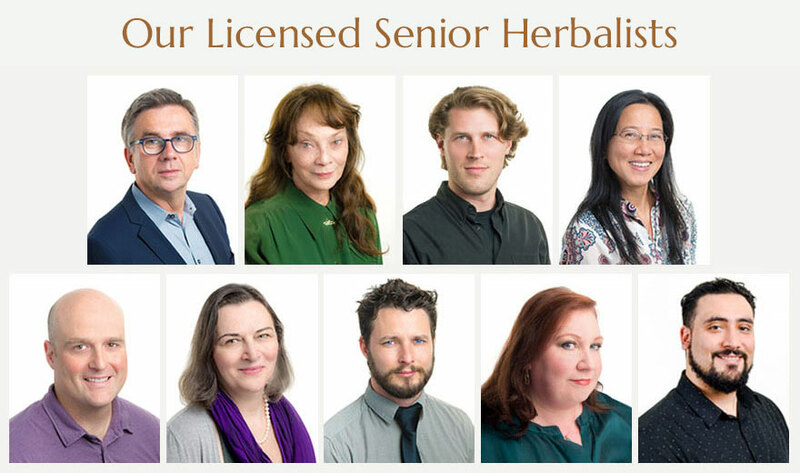 If you don’t take your herbs, they cannot do you any good. Many people buy Goji berries that lack the sweet flavor and are tough to chew. The market is full of such products. They eat them for a little while and then stop, never eating a Goji again. This is extremely unfortunate because, as proven by the Herb King himself, Gojis’ benefits are cumulative and it should be consumed daily, or at least regularly, throughout one’s lifetime. Fortunately, the best Goji, in terms of quality and tonic benefits, is also the sweetest and tastiest Goji. People who discover this high quality goji enjoy eating a handful or two a day, and compliance is not only easy, but compelling. And that is why flavor, sweetness and texture are so important. 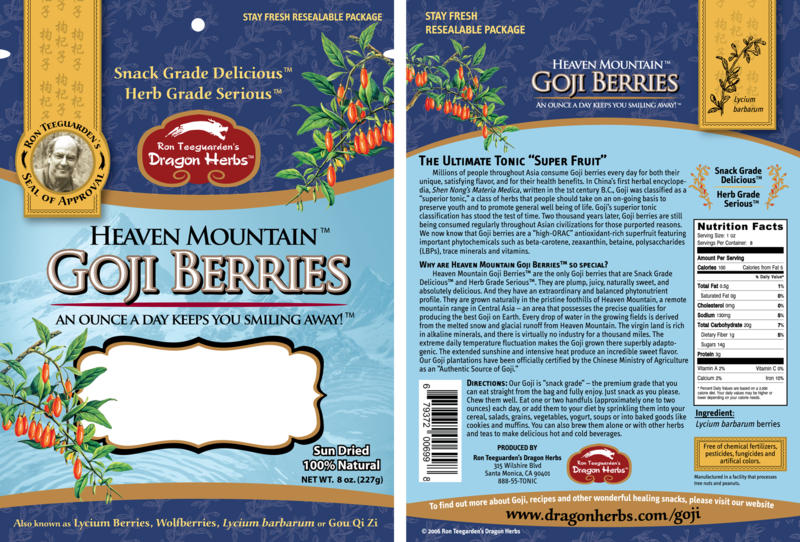 “Compliance is the first rule of tonic herbalism.” Heaven Mountain® Goji Berries are the only snack grade delicious Goji. 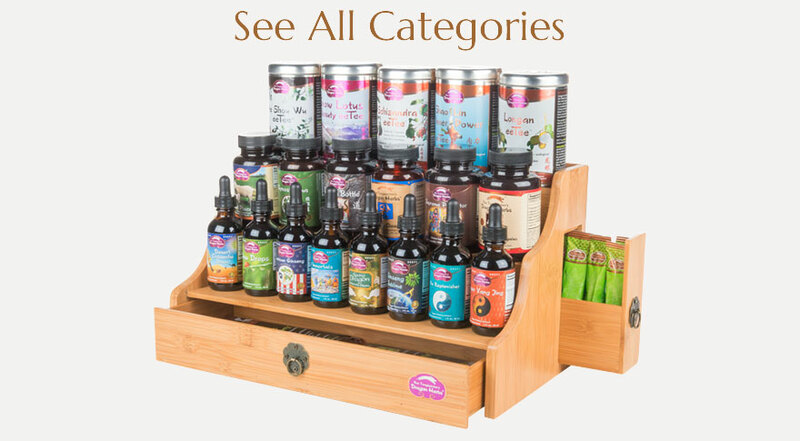 Goji’s health benefits are well documented by numerous research studies conducted across the globe. 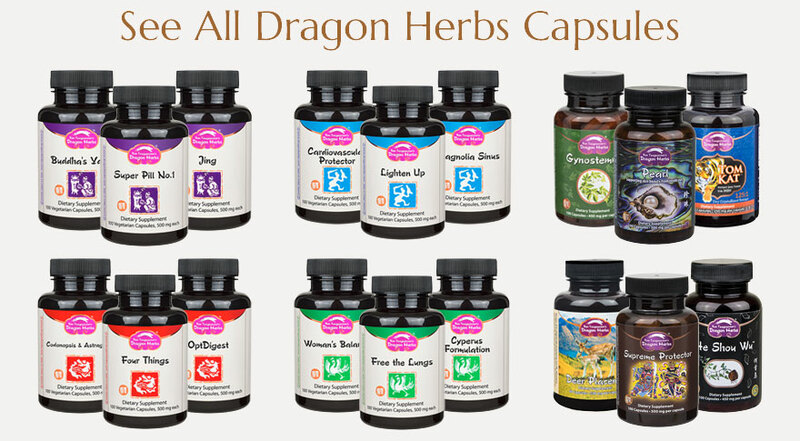 For an up-to-date summary of its health benefits, please email us at info@dragonherbs.com. What you probably don’t know are the stories of Goji and two of the most famous herbalists in China’s history who are also the most revered experts in the art of longevity. 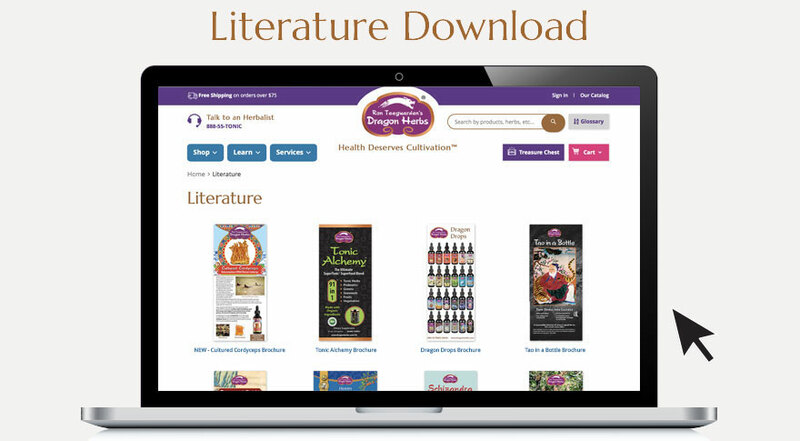 As authors of herbalism, they knew everything there was about every herb and they had access to all of them. Both chose to consume Goji daily throughout their entire lives and both lived famously to very old age. Please bear in mind that two thousand years ago, a human being’s average lifespan was only around twenty years. As of the 18th century, the average lifespan barely increased to around thirty years. 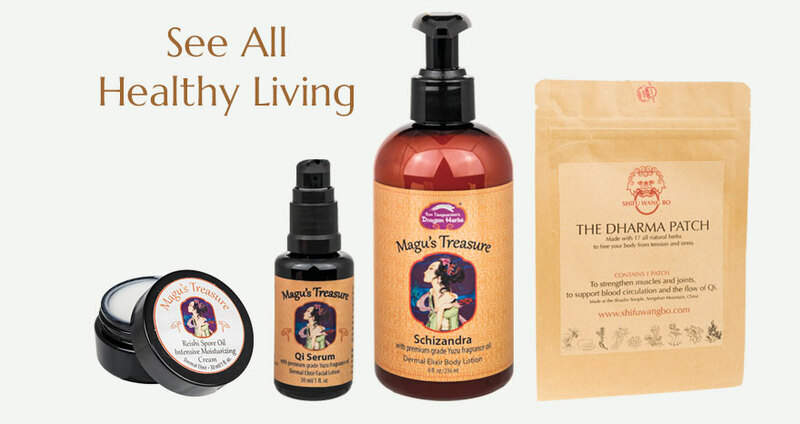 The longevity of these two great herbal masters during their era is truly remarkable. 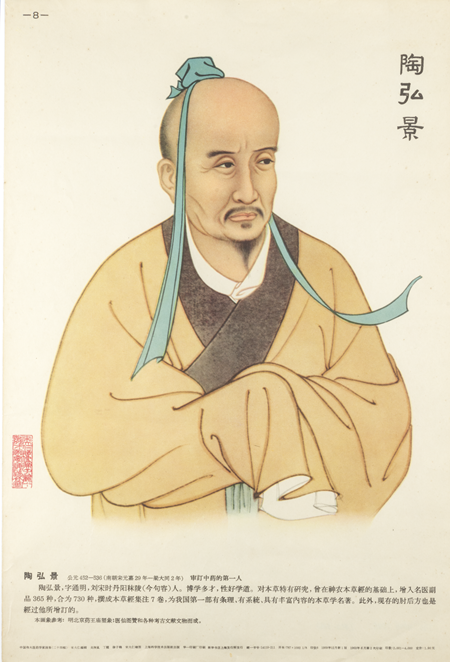 A Taoist master who specialized in the study of herbs, Tao compiled “Commentary on Sheng Nong’s Materia Medica”, one of the most valuable books on medicinal and tonic herbs in China’s history. He also authored “Recordings of the Art of Health and Life Preservation”. Tao Hong-Jing drank Goji tea everyday. He lived to be 80 years old. Sun is also known as the Herb King. Sun lived to be 101 years of age. He was born with a very weak constitution and was very sickly in his childhood. His family was almost bankrupted with his medical expenses. Sun devoted his lifetime to the art of medicine. 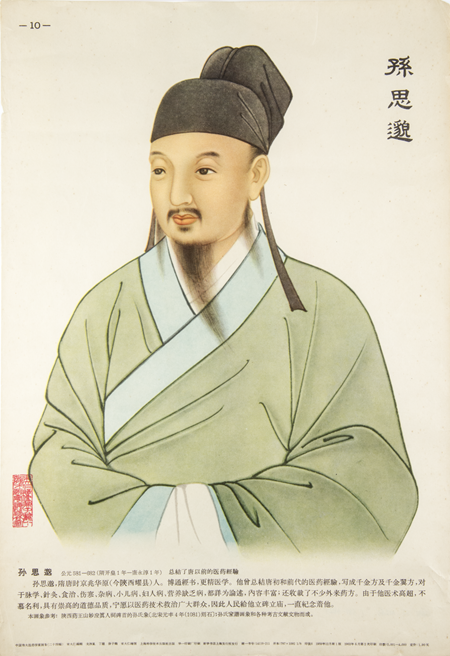 His monumental books, “Prescriptions Worth a Thousand Pieces of Gold” and “Supplement to Prescriptions Worth a Thousand Pieces of Gold,” have been regarded as compilation of China’s medical achievements up to the 7th century. Sun believed if his work could save a single life, it would surpass the benefaction of a thousand pieces of gold. He wrote his first book at the age of 71, and he finished his “Supplement” book at the age of 100. A year after that book’s completion, he died peacefully. This is not just longevity, this is vigor at an advanced age. Because of his weak constitution, Sun Si-Miao was a very disciplined practitioner of the art of life preservation and consumed Goji every morning and every night throughout his entire life. He was as famous for his longevity as he was for his work. His secrets for achieving centenarian status 1500 years ago remain an active topic even today.